A recommendation from the Westie OMG (October Mummies Group 14). 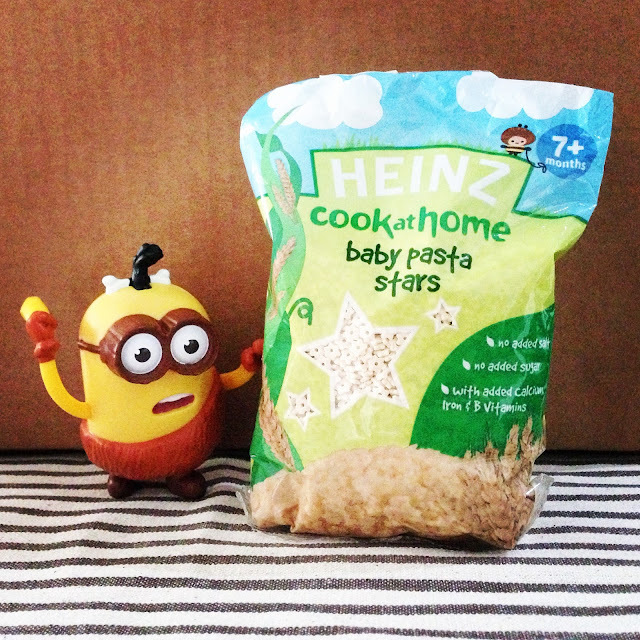 HEINZ baby pasta stars for baby to try out. 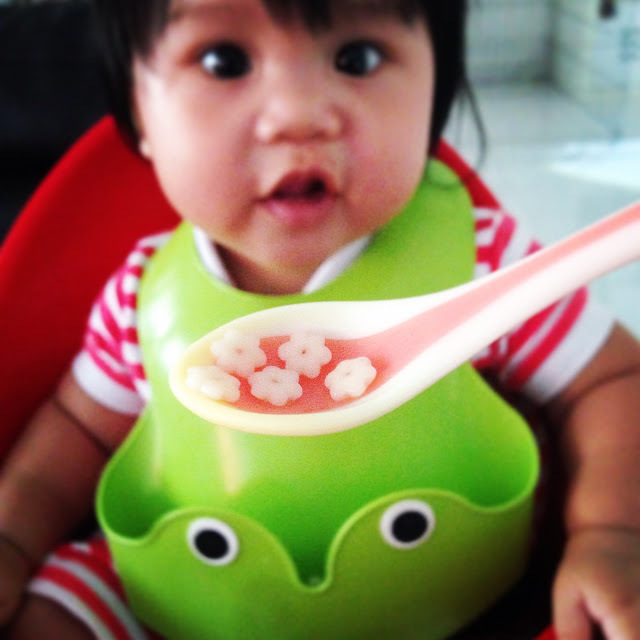 Something else to eat since baby hates porridge. And most purée. I gave baby mixed feeding as my elders do not believe in pure blw. And well... I'm greatly affected by them. 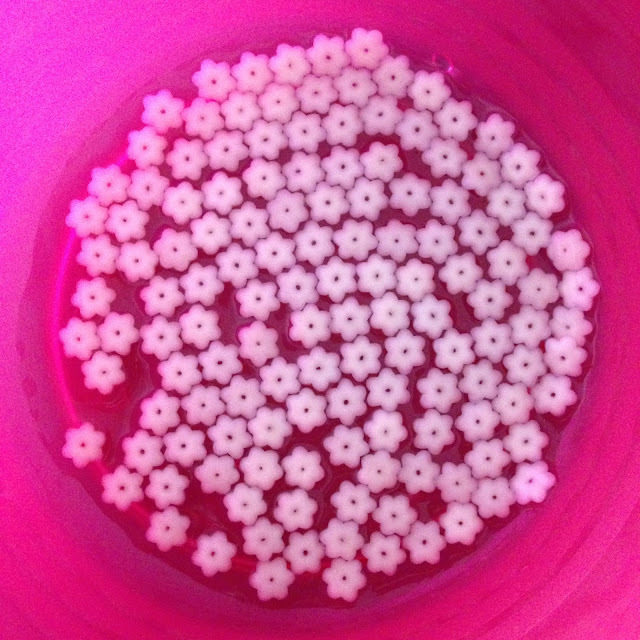 I only cooked 2 small baby spoonfuls to try out. Anyway her attention span and appetite won't last that long if I cooked more. I gave her plain pasta and I am so glad she finished it. She was interested in eating this. Leaning forward with mouth open. Mashing the pasta with the gums and tongue.